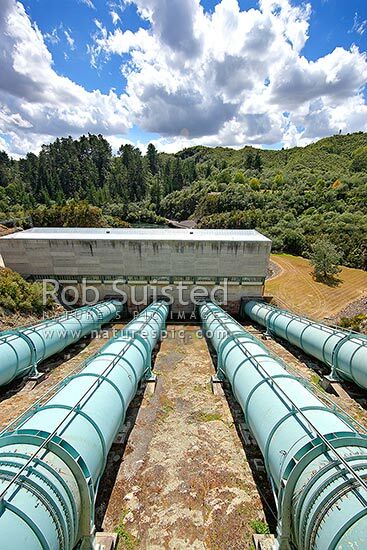 Ohakuri dam and hydroelectric power station on the Waikato River, central North Island. Penstocks and turbine building in view. 1961, Atiamuri, Rotorua District, Bay of Plenty Region, New Zealand (NZ), stock photo.